Design and produce furniture representing unique identity. Shops, hotels, offices, restaurants, private homes. Since over twenty years, our daily challenge consists in materialize exclusive concepts through sole expressions of design. The philosophy of our group is based on the attention to detail, the constant research in materials, environment protection, aesthetics sensibility. The visible result of these guidelines is the excellence, an overall quality that makes every living space lively, personal and attractive. From Buenos Aires to Moscow, from London to Johannesburg. Our furnishings, many of which are made for the most famous and prestigious brands, are all over the world concrete signs of progress achieved and of the values in which we believe. The stability and the experience of our organization allows us to ensure, in every part of the world, the full management of any project. Step by step, from its inception to the final turnkey to the customer, all work is constantly followed in detail, both in terms of quality and budget. 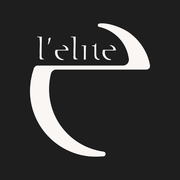 You should be a premium user to contact L'ELITE GROUP S.R.L.